We live in the age of internet and online facilities. Smart cards are being used for the convenience of recharging and thus life is simplified to a great extent. People commute using Metro and thus can easily get their smart cards. Mobile applications have been developed for the convenience of the people. Metro Card Recharge App also allows the users to easily recharge their card and continue enjoying the facilities. The peak hours in the Metro stations means a long queue for purchasing the tickets. With the help of the card, this can be avoided. Online recharging also means that services can be achieved through the mobile application without any need of physical presence to access the facility. PhonePe, Paytm App, and Mobikwik are also offering similar services and the main idea behind this is to make recharging a very convenient affair for the users. This will motivate the commuters to switch to Metro and make use of the easily available transport. While using these services, the users are exposed to deals and discounts which they can easily avail. Other vendors also join hands with Metro smart cards to promote their respective products or services. Thus, the users are set to benefit from such services. 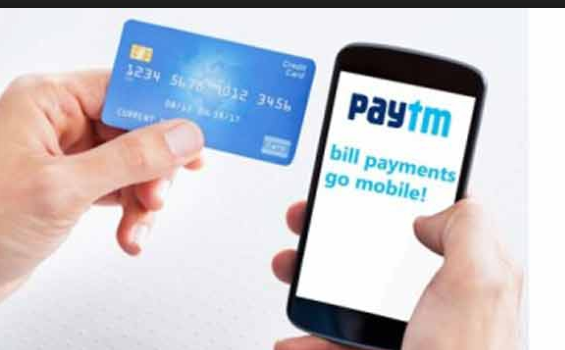 Moreover, PayTm App also offers cash back facilities which the users can enjoy by using the online recharge system. The smart card number is printed at the back of every smart card. By entering the card number, the user can redeem the collected credit points. The card is recharged within 48 hours of operation. A minimum of 100 credit points has to be collected to avail the benefits of recharge. How to recharge the Delhi Metro Card through apps? Go to your chosen app and then access the page of Metro Recharge Card in the portal. Make the selection of the Metro Operator. Enter the card number mentioned in the card of the owner. The person can enter the recharge amount which is a minimum of Rs. 100 and a maximum of Rs. 1000. Use the App Wallet account to make the payment and recharge the card. For re-filling the amount in the card, the Metro Vending Machine can be used. The users of the transport find it very convenient to use the App and live a sorted life. These facilities are being used by the people because these are convenient enough and the users are not dependent on anyone for the activity. Just the click or swipe of their finger is enough to carry out such transactions and enjoy the benefits. Moreover, as the people get offers like cash back, they can easily enjoy the benefits. The Smartphone technology has revolutionized all such concepts.